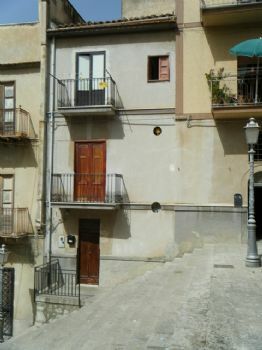 Mid terraced town house located in one of the main piazza's of Caccamo (Piazza San Michele). This property is over 550 square meters in size having two seperate entrances, various balconies, a terrace and a single garage. Due to it's size and location it's an ideal property to convert into a bed and breakfast.